Brethren and sisters, I would like to ask one very important question. 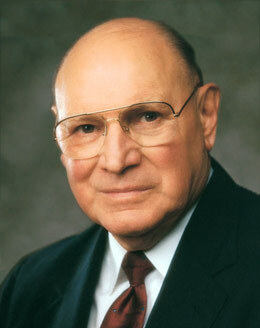 What quality defines us best as members of The Church of Jesus Christ of Latter-day Saints? Today I would like to speak about the answer to this question. In the first century A.D., members of the growing Church in Corinth were enthusiastic about the gospel. Almost all were recent converts to the Church. Many were attracted to it through the preaching of the Apostle Paul and others. “Charity is the pure love of Christ.” 4 The Savior exemplified that love and taught it even as He was tormented by those who despised and hated Him. The Pharisees had debated this question extensively and had identified more than 600 commandments. 6 If prioritizing them was such a difficult task for scholars, certainly they thought the question would be impossible for this son of a carpenter from Galilee. The scriptures tell us that “if any man love God, the same is known of him.” 8 What a wonderful promise—to be known of Him. It makes the spirit soar to think that the Creator of heaven and earth could know us and love us with a pure, eternal love. We all yearn to experience love like this. Even when we make mistakes, we hope others will love us in spite of our shortcomings—even if we don’t deserve it. Oh, it is wonderful to know that our Heavenly Father loves us—even with all our flaws! His love is such that even should we give up on ourselves, He never will. Spend time with Him. Meditate on His words. Take His yoke upon you. Seek to understand and obey, because “this is the love of God, that we keep his commandments.” 16 When we love the Lord, obedience ceases to be a burden. Obedience becomes a delight. When we love the Lord, we seek less for things that benefit us and turn our hearts toward things that will bless and uplift others. Brethren and sisters, as you prayerfully consider what you can do to increase harmony, spirituality, and build up the kingdom of God, consider your sacred duty to teach others to love the Lord and their fellowman. This is the central object of our existence. Without charity—or the pure love of Christ—whatever else we accomplish matters little. With it, all else becomes vibrant and alive. At the final day the Savior will not ask about the nature of our callings. He will not inquire about our material possessions or fame. He will ask if we ministered to the sick, gave food and drink to the hungry, visited those in prison, or gave succor to the weak. 19 When we reach out to assist the least of Heavenly Father’s children, we do it unto Him. 20 That is the essence of the gospel of Jesus Christ. When Jesus gave His disciples a new commandment to “love one another; as I have loved you,” 25 He gave to them the grand key to happiness in this life and glory in the next. Love is the greatest of all the commandments—all others hang upon it. It is our focus as followers of the living Christ. It is the one trait that, if developed, will most improve our lives.